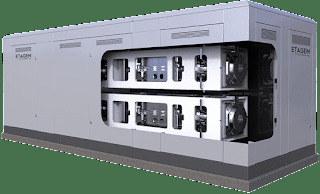 MENLO PARK, Calif. -- EtaGen, a manufacturer of Linear Generators, announced today that the Company has closed an $83 million Series C financing from ten investors with deep knowledge in energy generation and distribution. New strategic investors include American Electric Power (AEP), Centrica Innovations, and Statoil Energy Ventures. Along with KCK Group and Louis M. Bacon, they join EtaGen's existing investors Bill Gates and Khosla Ventures. The round brings the total amount raised by EtaGen to $133 million. EtaGen manufactures Linear Generators to deliver onsite electric power to commercial businesses. The EtaGen Linear Generator uses a low-temperature reaction of air and natural gas to drive magnets through copper coils to produce electricity. The company's novel design achieves high efficiency with few moving parts, making it affordable and reliable with lower greenhouse gas emissions than the grid. The company was founded in 2010 by three engineers from Stanford University, whose PhD research first demonstrated that the Linear Generator design could produce clean electricity. Recognizing that affordability and reliability were essential for widespread adoption, they started EtaGen with the mission to provide customers with the best combination of affordable, reliable, and clean power. "After proving the fundamentals of our technology and building a world-class technical team, we are now shifting towards the commercialization stage of the company," said Shannon Miller, Chief Executive Officer and Co-Founder of EtaGen. "We are excited to add so many notable energy investors to our team." "When we first invested in EtaGen, the Linear Generator was just a theory," said Samir Kaul, General Partner at Khosla Ventures. "Today it is a real product, generating real power, with real economic and environmental benefits to deliver. We are proud to have been the first investor in such an innovative technology company." EtaGen will use the funding to scale its manufacturing and operations and augment its sales, marketing, and service teams. The company already has plans for installations with customers in the utility, grocery, banking, logistics, retail, and telecom industries. "We are eager to work with EtaGen commercially and help them add and serve business customers with clean and affordable energy," said Christophe Defert, Ventures Director from Centrica Innovations, the innovations and venture unit of Centrica plc, a UK-based energy company that owns Direct Energy in the US. "We have never seen a distributed generation technology that is capable of delivering the same combination of economic value, reliability, and carbon savings. This is truly a game changer." 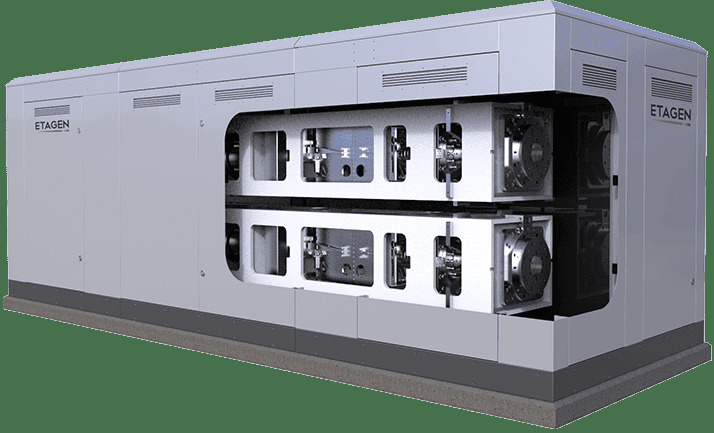 EtaGen is a California-based startup that develops and manufactures Linear Generators to unlock the full potential of distributed power generation. EtaGen's technology is based on research pioneered by its founders at Stanford University. The company is committed to bringing affordable, reliable and clean power to the world. More information at: http://www.etagen.com/.